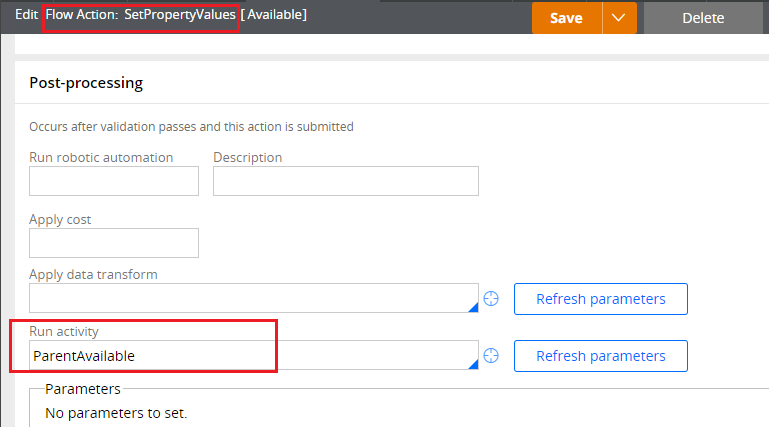 What is rule availability in Pega? In this post we will see more in details about the rule availability. Let me start this post with a story. I invited my close friends for a party in a whatsapp group. I asked them to send a confirmation reply. Friend 2: I am not available for the party. Friend 3: I won’t come for the party. I will not allow my friends too !! Friend 5: I am coming. This is my decision and no one can change it. I find there are many similarities between my friends availability and rule availability. Rule availability helps in managing rules. They can determine, if the rule is eligible to run or not. They can also determine the availability of rule in lower versions. In the rule form, you can configure the rule availability. Why do you use rule availability? Scenario: there may be some scenario, where don’t want a particular rule to run in the application. You can use the availability feature in the rule form to make the rule not available for rule resolution. We know, Pega use different rules to support a business process. For example – when you create a new work item, there are many rules involved to complete the task like flows, activities, when etc. Some rules in the framework can be overridden in the Implementation layer. Rule resolution, helps in picking the right rule. What are the types of rule availability in Pega? We will explore all the possible by rule availability scenarios with examples. What are the pre-requisites to test rule availability? You can test using any rule. In this tutorial I am going to guide you through activity rules. Parent activity – Use ‘Call’ keyword and call child activity from parent activity. Create a new section, and include some fields. Have a button control. In the button, On click event add an action set to call the parent activity. How do you configure rule availability? You can use Live UI and check the property involved in holding the availability value in rule form. – ‘pyRuleAvailable’. You can see the property ‘pyRuleAvailable’ in the rule class contains the availability value. How do you use different availablity options? a) Available – As the name suggests, the rule is always available to run. Here I have configured both the activities, parent & child activities ‘Available’. Step 1: Open the section in user portal. Step 2: Start the tracer & click on the check availability button. Using this option, you can make a rule not available in particular version. For example – Say you have a rule in 2 versions : 01-01-01 & 01-01-02. Default rule resolution always picks the highest version. In our case 01-01-02. So when you actually use? In development environment, say you have a rule in 01-01-01. You saved the rule in higher version 01-01-02 and did some drastic changes. When you test the rule, it throws error. So instead of deleting the rule in 01-01-02, you can make the rule availability to ‘No’. The rule resolution invalidates the rule with availability set to ‘Not Available’, so it runs the rule in 01-01-01. We will test and check how this works. Step 1: Save As the child activity in 01-01-02 and set pyLabel to ‘Availability No checking’. Step 2: Click on the button. As of now keep it available and use tracer to check the value. Step 3: Now update the availability in 01-01-02 to ‘Not Available’. Step 4: Lets check the same in user portal again. trace it. See, now you can see the rule in 01-01-01 is picked. Selection this option makes the rule in the current version and previous versions in the same ruleset, withdrawn from the rule resolution. It means rule resolution, invalidates the withdrawn rule and its other lower versions in the same ruleset. For example – You have your rule in MyKnowPega 01-01-01 version and updated the rule in MyKnowPega 01-01-02 version. When you withdraw the rule in 01-01-02 version, then the rule resolution never pick the rule in both 01-01-02 & underlying versions – 01-01-01. What are the other scenarios , you withdraw a rule? You override an pega OOTB rule in your application ruleset. You started implementing your own requirement. In later release, Pega provides the same feature in their OOTB activity, So you no longer required the overridden activity in your application ruleset. You cannot delete the rule, since the rule is packed and moved to higher environment. You have a rule say – ‘discount flow’ in ‘OIKGGB-MyKnowPega-Work’ . You Overridden the flow in ‘OIKGGB-MyKnowPega-Work-AmazonSales’ class for Amazon sales case. After some particular release, You included all the Amazon sales discount process in the ‘OIKGGB-MyKnowPega-Work’ class generic flow. So now, no use in having a specialized version in Amazon sales class. You can withdraw the rule you specified in the ‘OIKGGB-MyKnowPega-Work-AmazonSales’ class. So rule resolution picks the rule from ‘OIKGGB-MyKnowPega-Work’ class. Step 1: Create a new copy of the ChildAvailable rule in Application Integration ruleset. Step 2: let’s test using tracer. You can see the rule in MyKnowPega 01-01-02 is picked. Step 3: Now let’s withdraw the rule from MyKnowPega 01-01-02 version. Step 4: Let’ check in the user portal using tracer. What are the differences between ‘Not Available’ and ‘Withdrawn’ rule? ‘Not Available’ invalidates the rule only in the current version, where as the ‘Withdrawn’ invalidates the rule in the current version and lower versions in the same ruleset. Selecting this option will not invalidate the blocked rule for rule resolution. Still the blocked rule is right candidate and if the rule gets picked by rule resolution, then the process returns not found. When do you block a rule? Say for example, Amazon needs to stop their online electronics sales for a particular country. It can be resumed in later point of time. In this case you can block the respective rules. The rules just throw the error to end user. In development environment, If you didn’t complete the entire development, you can block the corresponding rule till then. Let’ test a blocked rule. Step 1: Save As the child activity and make the availability to ‘Blocked’. Step 2: Check in the user portal. Trace it. You can see the exception thrown. Since we are testing it using button call, it never stops flow processing(kind of local action). So let’s test by using the activity in flow action post processing activity. Step 3: Open the flowaction – add the ‘ParentAvailable’ activity in Post-processing activity. step 4: Now submit the flowaction in user portal. On Selecting this option, you are making a rule as final rule. You cannot override a final rule in another ruleset. When you try save as the rule, you will get an error. When do you make a rule final? In my point of view, Pega introduced the ‘Final’ availability to restrict developers updating the core designer studio engine rules. For example: You can check underlying sections in any rule form header. Pega makes the sections, rules final, because they don’t want us to update those in rules in our application rulesets. Step 1: Open any final rule OOTB rule. Step 2: Try Save As the rule in your application ruleset. Step 1: Open the child activity and set the availability to ‘Final’. Step 2: Now try Save As in the next ruleset version 01-01-02. What are the things to remember? Rule availability: Not available – Rule is not available to run. Rule resolution invalidates the rule. Rule availability: Final – You cannot specialize the Final rule in other rulesets. You can Save As only in higher versions in same ruleset. Good one, keep posting, thanks a lot !! Very good explanation. Can u please give more explanations with real time scenarios. And one more request pl can u explain all the topics by creating an example application. Thanks for your comments, Swapna. Once I complete some important topics, I will connect all dots by creating a sample application. So nice of your explanation and sharing info to all. Yeah bro, I will definitely keep on posting. Very Nicely Explained . Keep the Good work. Can you please explain Cover ,Folder and also their locking and other dependency features on Cover ,Folder and Work Object. It will be great help. Really nice and learning so many things from the blog. great help pavan.. thanks a lot..
Could you post info on harnesses and portals ? Yeah sure, Pradeep. I’ll keep on explaining with real time cases. Prem, It would be great if you can provide some main OOTB activities and its purpose. Yeah sure Veera. I will try to make a post on commonly used OOTB activities. Very Nice and simple Explanation. Wonderful example, we never forget. can you please post case management concepts and report definition asap. I need some information regarding rule delegation ,pls explain me . Great blogs on rule availability. Can you please clarify one thing – blocking a rule means is it block for specific ruleset or all ruleset? I hope you meant to ask for specific version or all versions. Thanks Prem.. your post cleared many of my doubts about rule resolution. That’s a great work. Could you please post an article about Rule Resolution? Nice Explanation Prem. Your posts are very useful. Thanks for the posts. Can you please post an article on Page context in activities ? This is simply superb and am able to understand very easily. Ur posts r very easy to understand. Please try to cover all the topics. i have rule with version 05-05-10 if i blocked this rule( and this rule also present in the prerequest ) . And same scenario with withdrawn rule? Superb work prem!!. This post help me a lot in understanding rule availability concept . Can you please post on Case Management? excellent presentation Sir… Please share more ..
if a rule blocked in lower version say 01-01-01 and the same rule in higher version say 01-01-02 is available with in the same rule set , will this available rule will be picked at execution time rule resolution or it will through an error ? and what if rule is available in different rule set ? i have a doubt regarding blocked rule. Excellent Explanation with best Examples, I never see such explanation before, I am Pega beginner can able to understand now. I have activity ABC define in Ruleset A and Ruleset B. No blocking the activity ABC in Ruleset A. During run time will it pick activity ABC defined in ruleset B ? This is very simple. It is based on ruleset assembly. If Ruleset A comes over Ruleset B, then at runtime It will throw blocking error. If ruleset B comes over ruleset A, then at runtime it runs without error. Blocking is always version dependent. can you please provide me full information about Activities. I am new to Pega and looking for opportunity in Pega. I referred may material on youtube. they are not as useful as you content. These are really helping me as well as people like me to understand Pega. Thank you so much for your appreciation. I’m so much glad that my posts helped you a lot. This is really helpful for the beginner , awesome explanation . I appreciate and thanks for the write ups. The way you have explained , it becomes so easy to understand. Yeah, I’ll keep on posting new stuffs. 🙂 Stay tuned. This post is quite enlightening as we always confuse between Blocked and Withdrawn rule. I have a scenario where I have two when rules : Parent A and Child B, both when rules were in same ruleset in a branch. Now due to business requirement I have to move Child B when rule to Production ruleset. When I am trying to run the when rule A , it is throwing error in tracer “Unauthenticated or rule not found” . So i have to change the name of child when rule from B to C and then run it. Could you please explain this scenario why it happened? Helped me to get a deeper insight into PEGA..in simple language!!!. Thanks and keep posting !! Description you gave with friends was too good. Keep up the good work. You are doing great work, there is no other free blog on Pega with such detailed info. I would like to request a separate post on the debugging tools of pega if possible. sir !! when can i get the bulding blocks of pega !! like rules, classes !!! Great Post. Crisp and Clear ! Thanks for your clear explanation. please explain about Rule Resolution. Thanks for giving clear explanation.